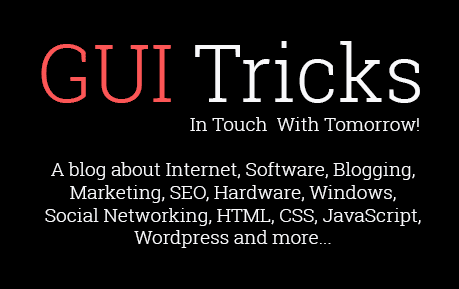 How to Make Your Home Safer with Home Automation | GUI Tricks - In Touch With Tomorrow! How to Make Your Home Safer with Home Automation - GUI Tricks - In Touch With Tomorrow! Home automation isn't just about making your home smarter. Sure, it's fun and convenient controlling your lights, appliances, and thermostat with the push of a button on your smartphone, but home automation technology can make your home safer too. You don't have to put bars over your windows to make your home a fortress. Check out these innovative home automation gadgets that will keep you and yours safe. A good first step in having a safer home is being able to see what's going on when you're not there. Piper is touted as the world's first all-in-one home automation and home security device. It's a cylindrical camera that gives you a live feed of your home in addition to offering two-way audio, a built-in siren, motion and environment sensors, and it operates on Z-Wave home automation technology so it's compatible with other Z-Wave devices. Perhaps the most impressive feature is that Piper's HD video is also panoramic, which means you can pan, tilt, and zoom the live feed to get a 180-degree view of your home, loved ones, and any possible intruders from your smartphone or tablet. Available for $299, Piper has no service or subscriptions charges and allows you to store up to 1,000 HD recordings on the free cloud storage that comes with it. Another important component of automated home security is electronic lock systems. The Kwikset Kevo is a powerful and safe option that offers several secure ways to access your home. Obviously, you'll have your standard key, but you'll also be able to enter your home by touching a keyfob to the lock or with an eKey. Using the Kevo app, you can turn the Bluetooth on compatible iOS and Android devices into a wireless key that unlocks the deadbolt. After you calibrate Kevo, simply keep your keyfob or phone on your person and touch the deadbolt with a finger to unlock it. Other useful features include being able to send eKeys to guests' smartphones, giving them 24-hour access to your home. Additionally, you can monitor each and every time your door is unlocked — and who unlocked it via the Kevo app. The Kwikset Kevo is available for $199 and is compatible with Nest products. It's easy to forget about the garage while converting your home into a smart home, but garages are actually a major point of vulnerability when it comes to home security. That's why something like the Chamberlain MyQ Smartphone Garage Controller is an ideal choice for securing your garage. If you forget to close the garage door on your way to work, MyQ Garage lets you open or close your garage from anywhere using your smartphone. You'll get alerts letting you know when your garage door is opened when you're away. Available for $129 with additional sensors $49 each, MyQ Garage is compatible with almost every garage made after 1993 and will give you unparalleled peace of mind. A video security camera makes video reconnaissance basic, reasonable, and does not need to cost a lot.